Superdry men’s Vintage logo tri sweatshirt. For an easy sweat piece, reach for the vintage logo sweatshirt. 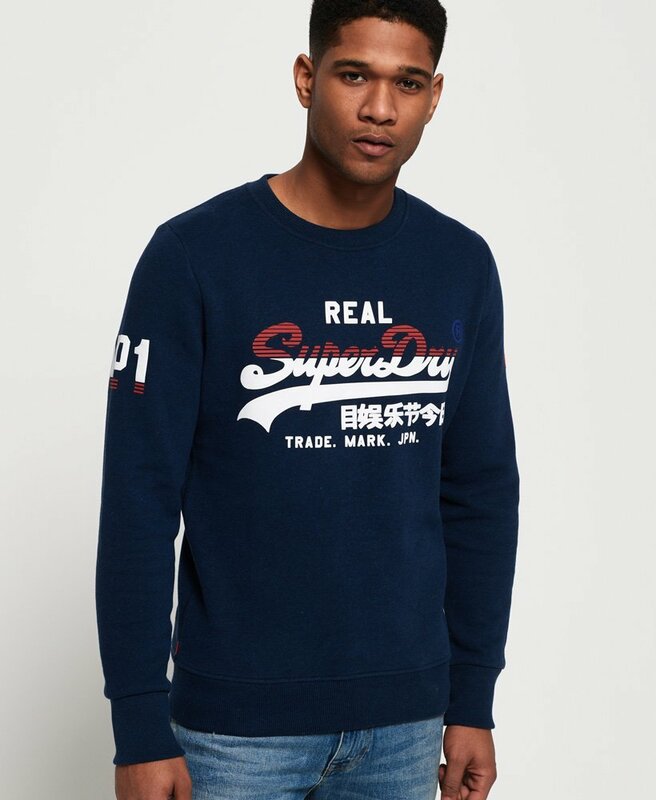 It features a crew neckline, the iconic Superdry logo across the chest in a textured print, a number logo on the sleeve and ribbed trims throughout. For the finishing touch, this sweatshirt has the signature orange stitch in the side seam. Put the cosy back into everyday by pairing this with joggers for the ultimate chill outfit.